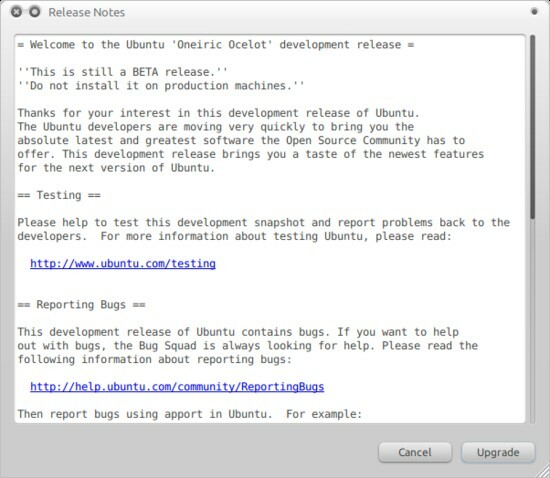 The first beta release of Ubuntu 11.04 "Oneiric Ocelot" was recently made available for download. The release is meant for testing before the final version is made available next month. Those who want to test the release can do so by downloading an ISO image from cd.ubuntu.com. However, if you already have Ubuntu 11.04 installed and want to upgrade it to Ubuntu 11.10 beta, you do not need to download the ISO - you can upgrade directly. In this article, we are going to show you how you can do that. Open the Terminal and execute the command given below. 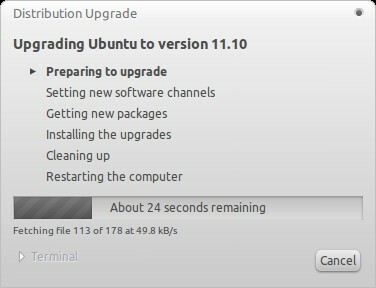 The Ubuntu Update Manager will open and it will notify you about the available upgrade to Ubuntu 11.10 Beta. Click on Upgrade. 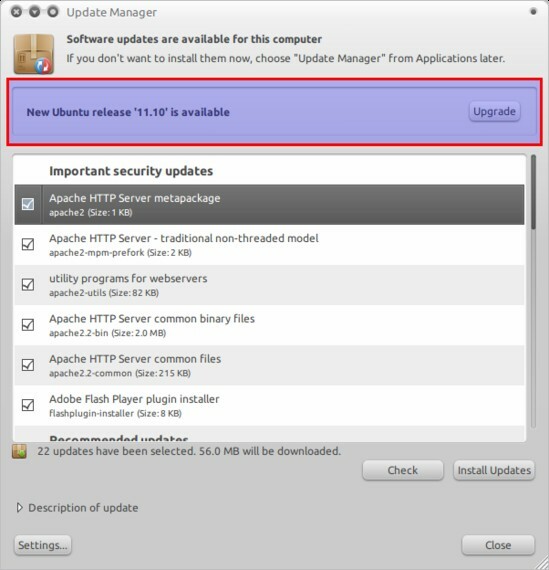 Once you click on Upgrade, you will be presented with the release note of Ubutnu 11.10. Click on Upgrade again. The upgrade tools will get downloaded now. One it has been downloaded, you will be required to enter your password. After entering your password, the update will start. Sit back and wait while the system upgrades.